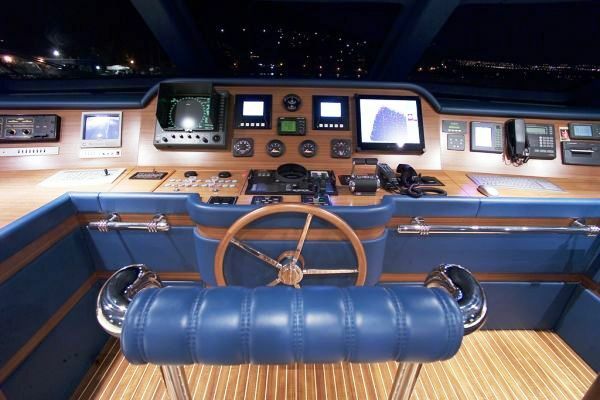 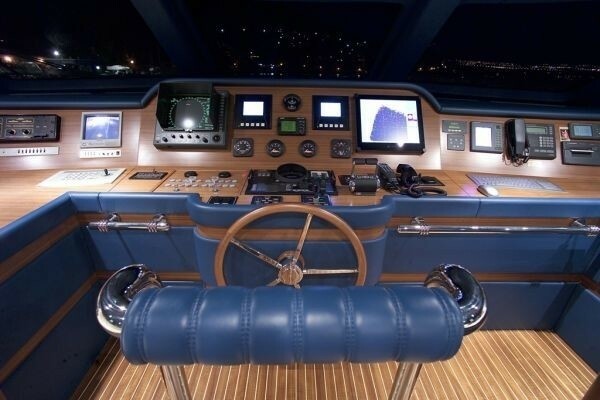 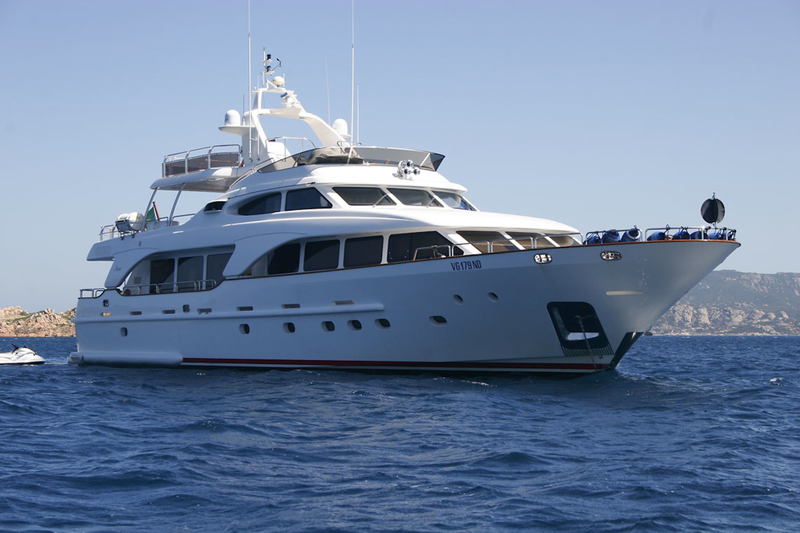 Motor yacht ENIGMA is a 30,20m (99’) charter yacht built by the famous Benetti shipyard in 2004. 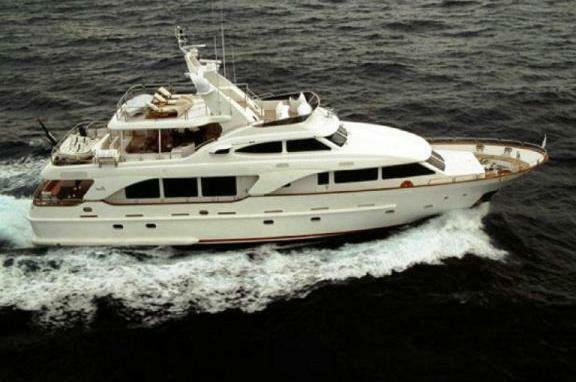 The elegant Benetti motor yacht ENIGMA is perfect yacht for Mediterranean cruising, large enough to accommodate up to 8 guests in her custom designed layout with five separate deck areas, while still able to dock in some of the smallest most unique boutique harbours throughout the Western Mediterranean. 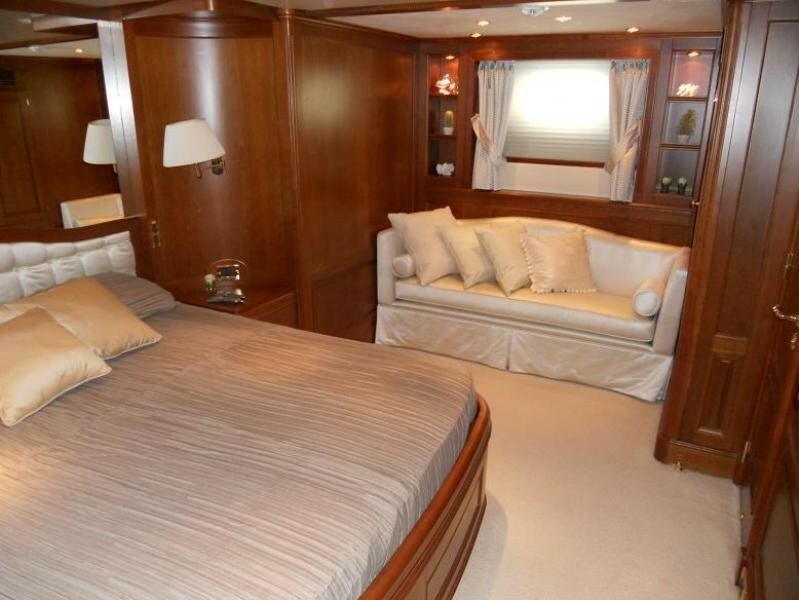 Luxury motor yacht ENIGMA (ex BEYOND THE CLOUDS) boasts elegant and refined interiors, with spacious living areas including her full width main salon with a comfortable L shaped sofa, elegant armchair and coffee table, plus a minibar, 32" Flat Screen TV, stereo system, DVS, CD and SKI Sat. The adjoining dining area features a table for 8 guests. 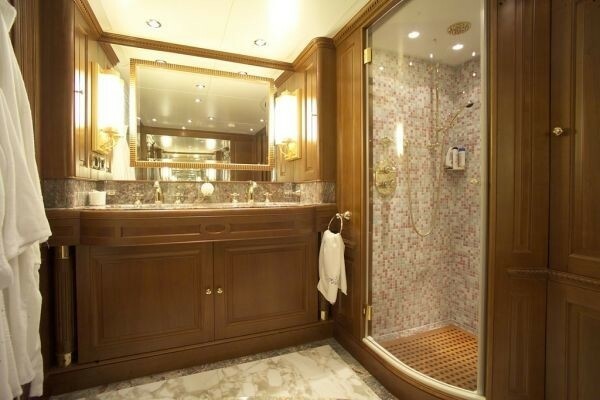 There is a day head available on main deck forward of the salon and dining area, in the walkway leading to the on deck master stateroom. 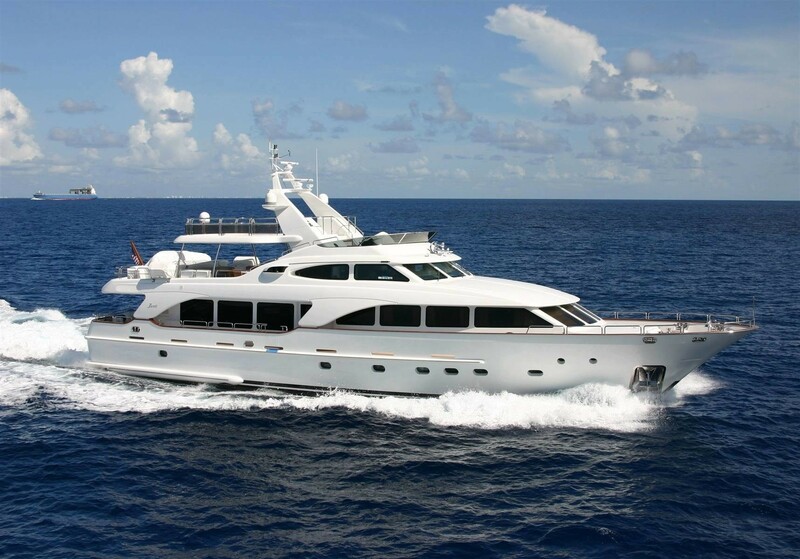 Luxury Benetti motor yacht BEYOND THE CLOUDS can accommodate up to 8 guests in 4 staterooms. 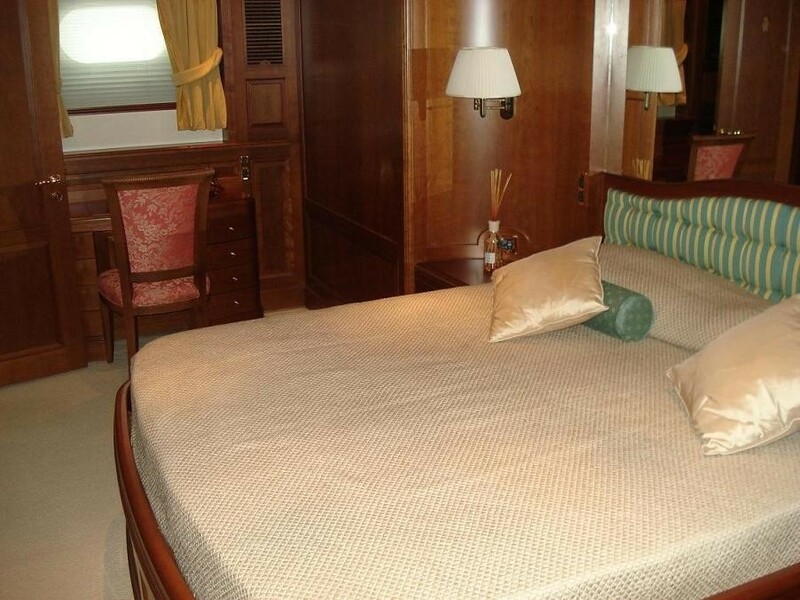 Her elegant and bright master stateroom is located forward on main deck with king size bed, wardrobes, chest of drawers, coiffeuse, electric venetian blinds, disappearing LCD TV, stereo system and en suite toilet with tub and shower box. 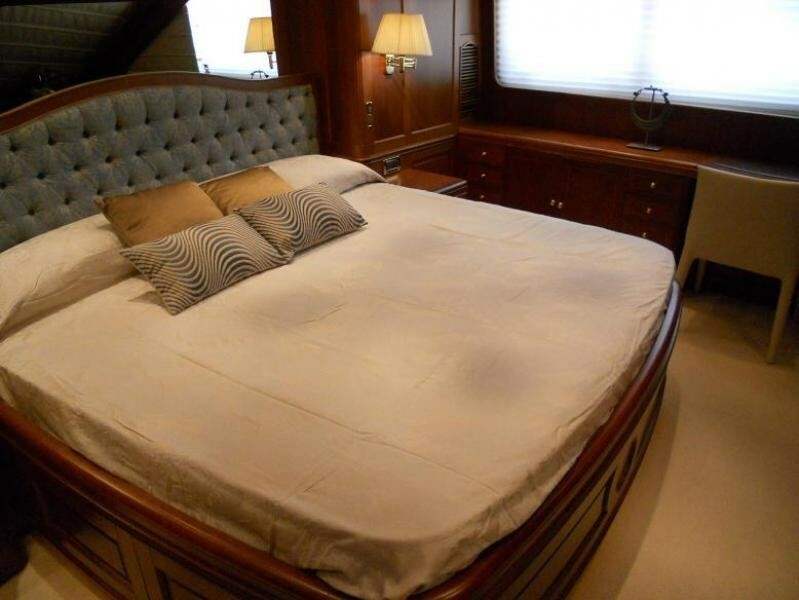 The VIP stateroom is located on lower deck and features a queen size bed, LCD TV, stereo system, dressing room, coiffeuse and en suite toilet with shower box and bidet. 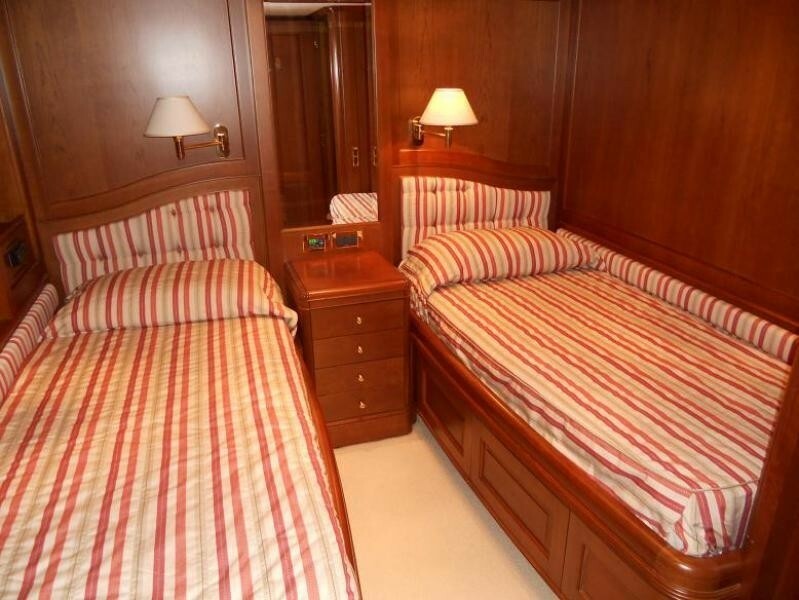 There is also a guest suite that features a French bed, LCD TV, stereo system and en suite toilet with shower box and a twin cabin featuring twin beds and en suite toilet. 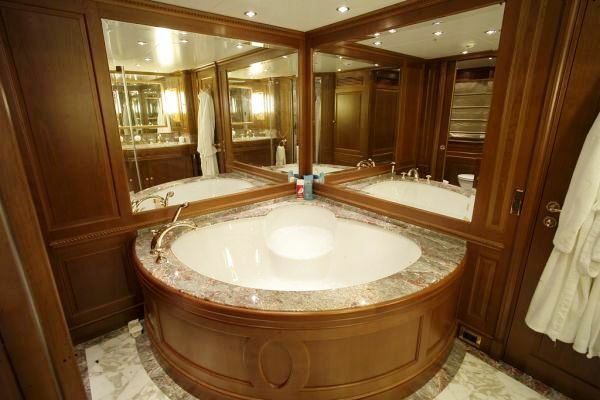 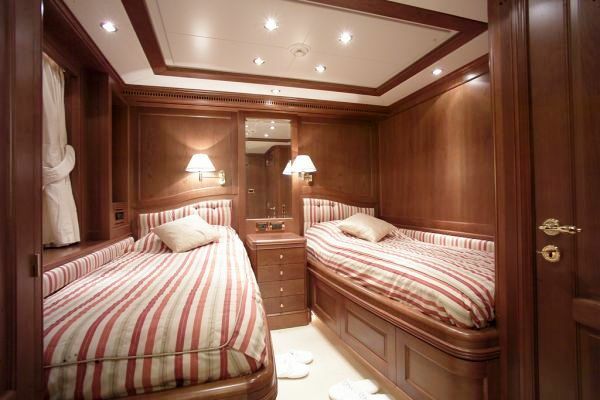 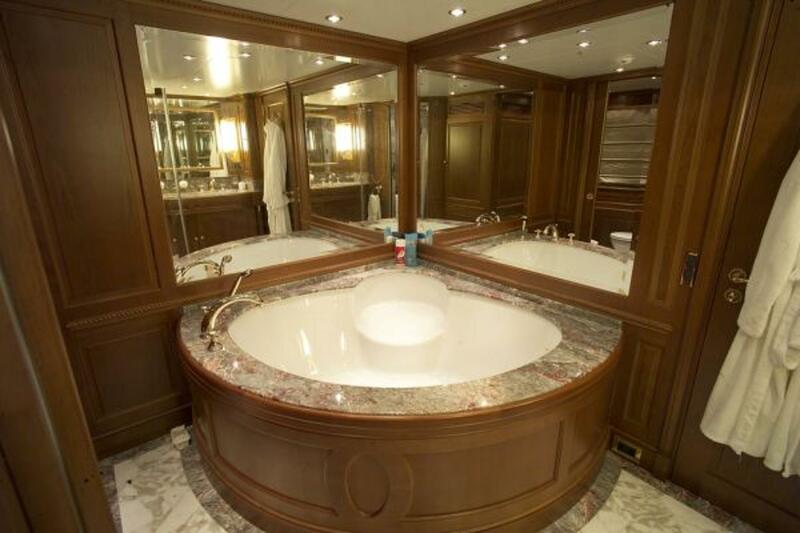 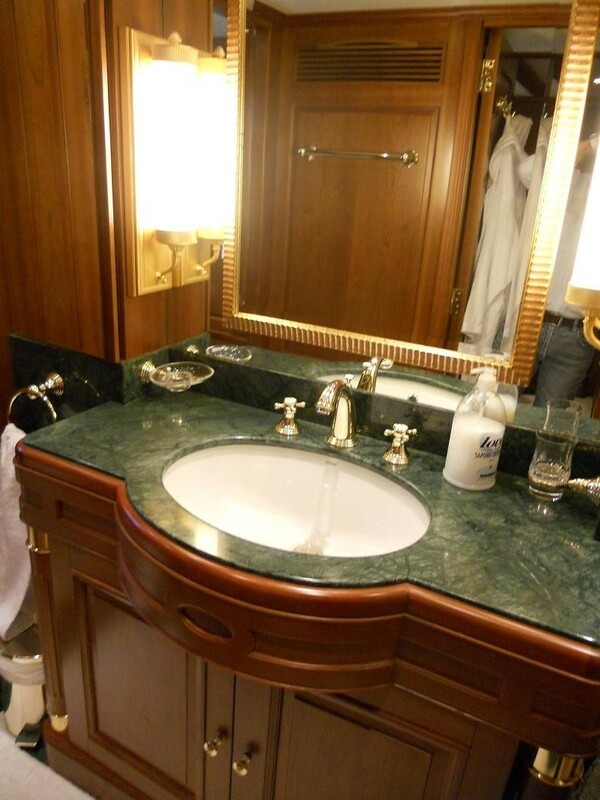 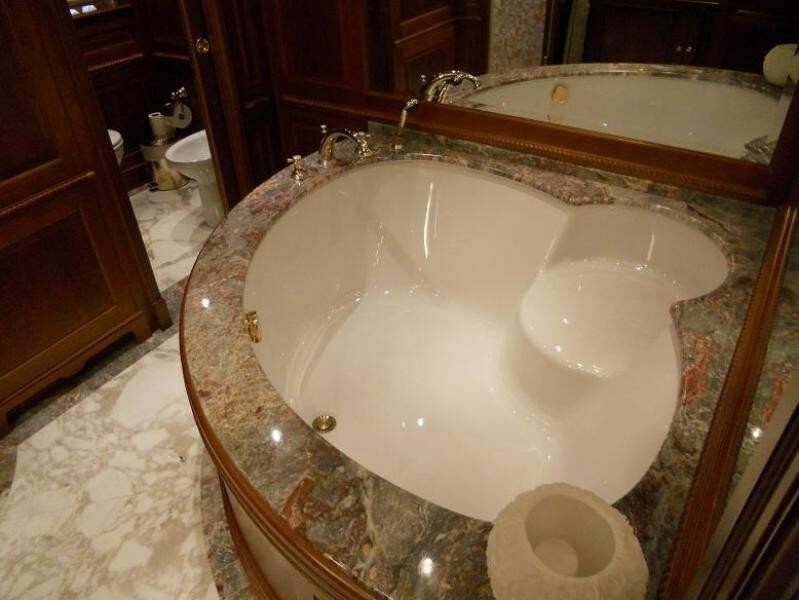 All staterooms are provided with air-conditioning and toilets are marble and wood finished. 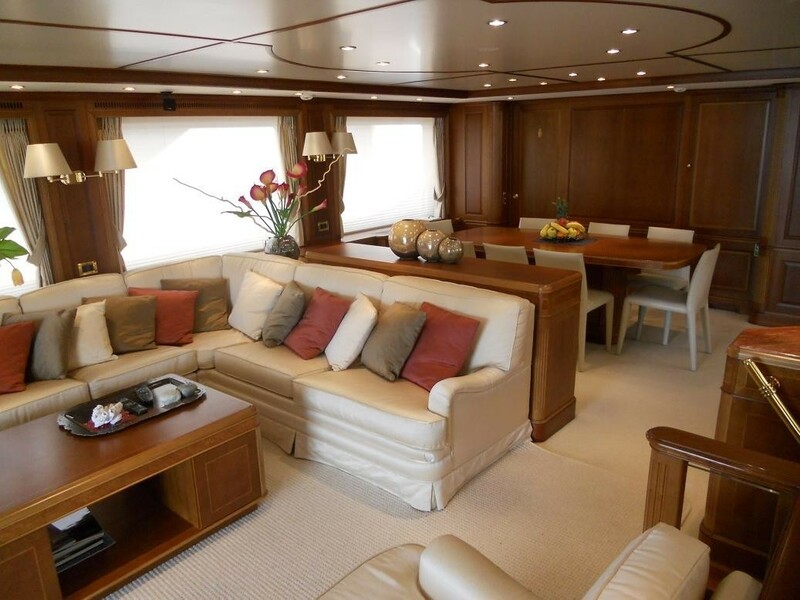 Benetti motor yacht ENIGMA has a spacious aft deck with comfortable seats and dining table for up to 10 guests along with a generous stern platform. 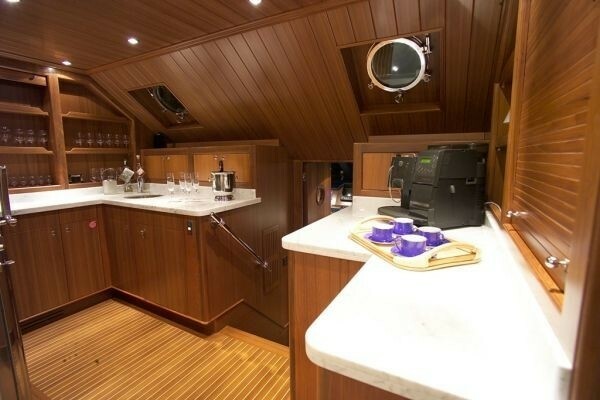 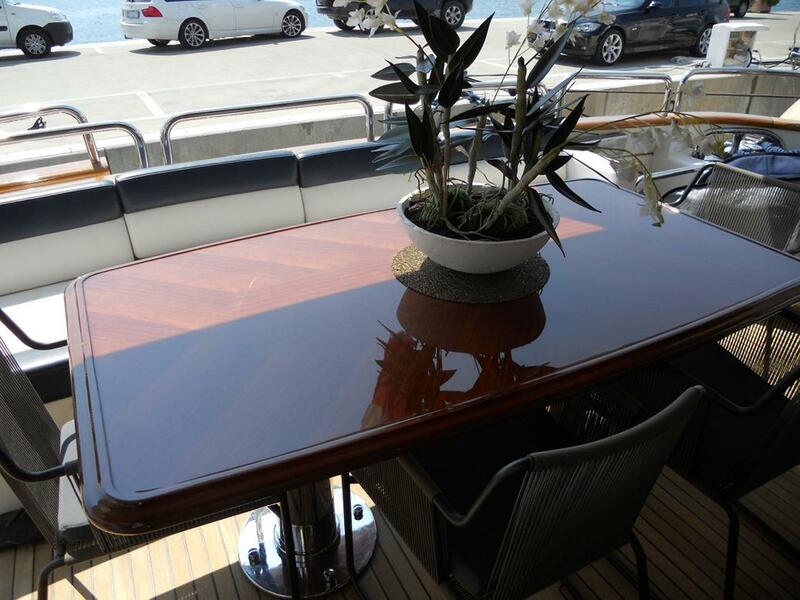 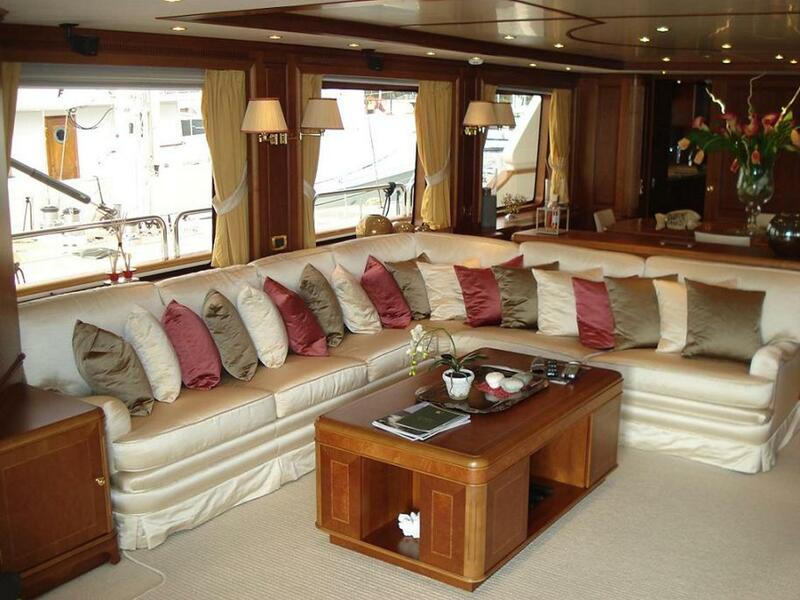 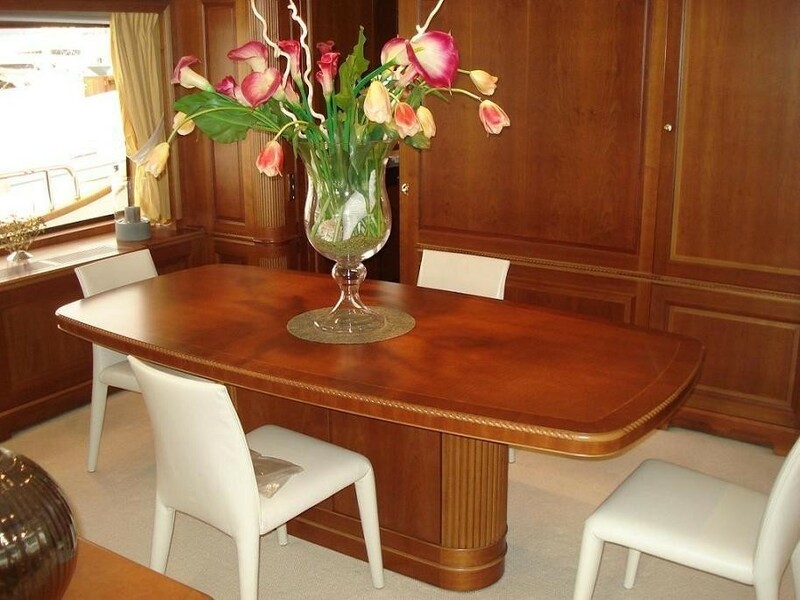 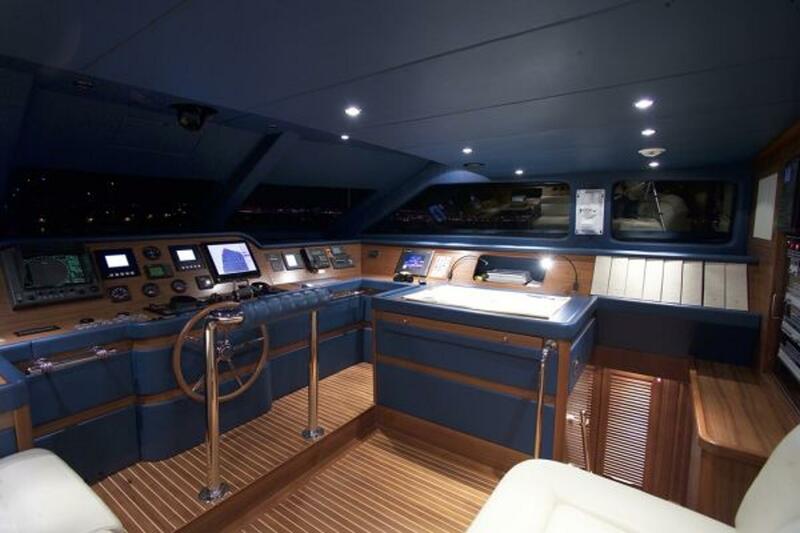 The luxury yachts upper deck is the perfect area to socialise. 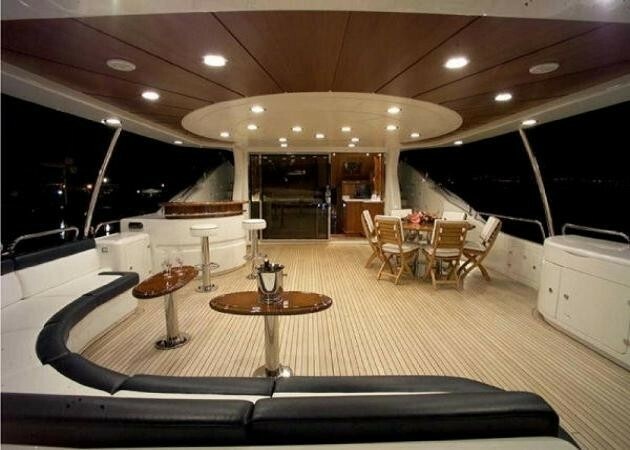 It is spacious and features a corner bar, a comfortable semi circular shaped sofa with coffee table, an elegant round table for 8 guests and barbeque. 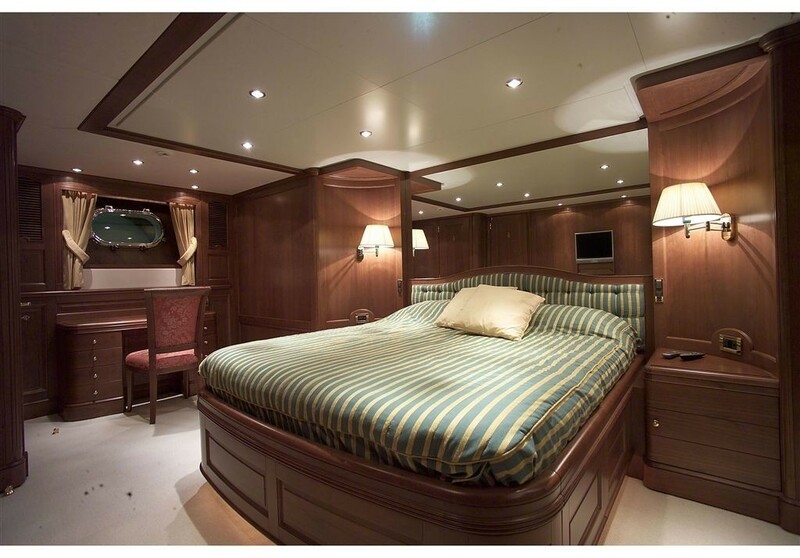 The third deck area provides a wide sunbathing area with comfortable mattresses to relax in full privacy with comfortable settees forward. 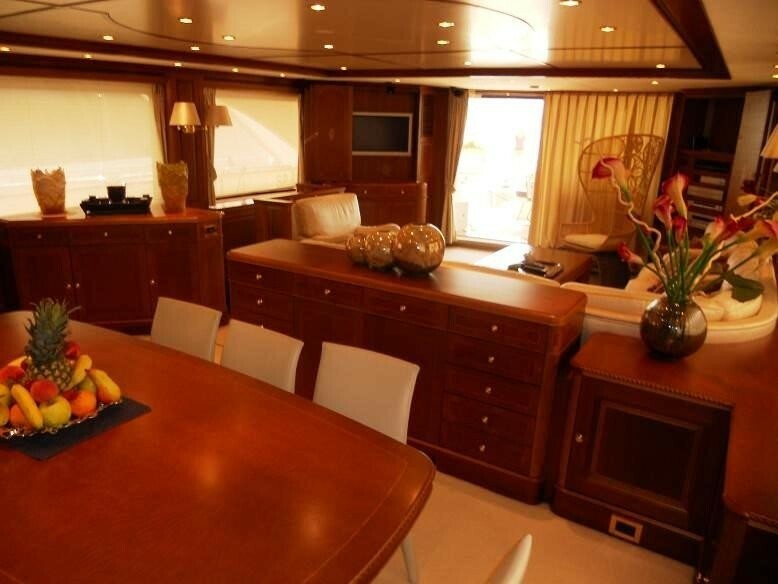 The luxury charter yacht ENIGMA is based in La Spezia but flexible in embarking anywhere in Mediterranean. 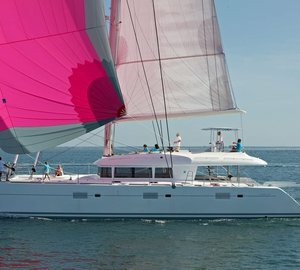 BTC is able to cruise at speeds between 16-18 knots and has a crew of 5 ready to welcome you onboard. 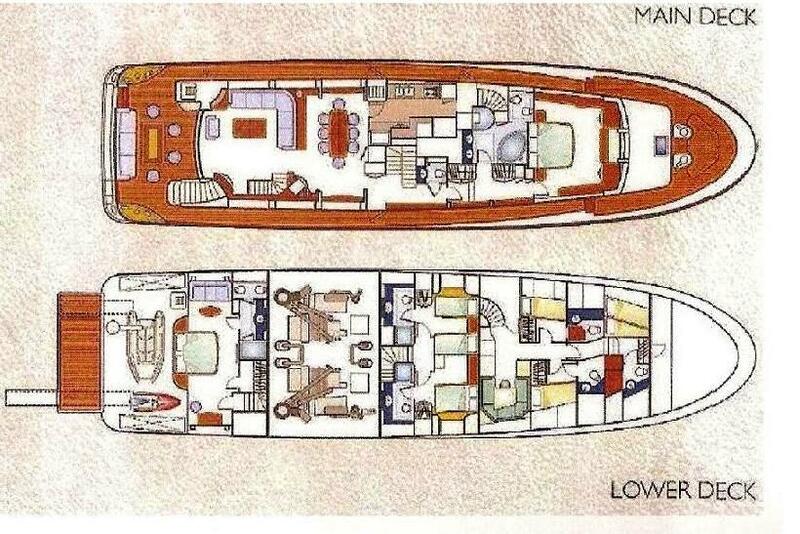 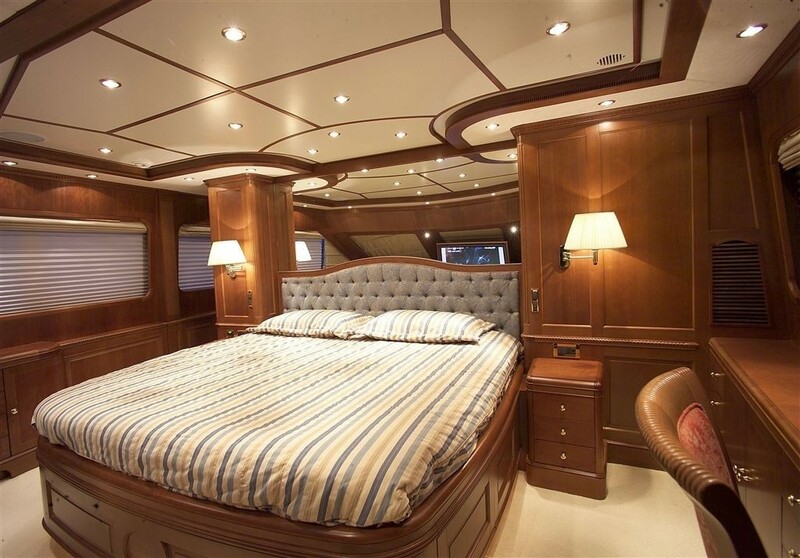 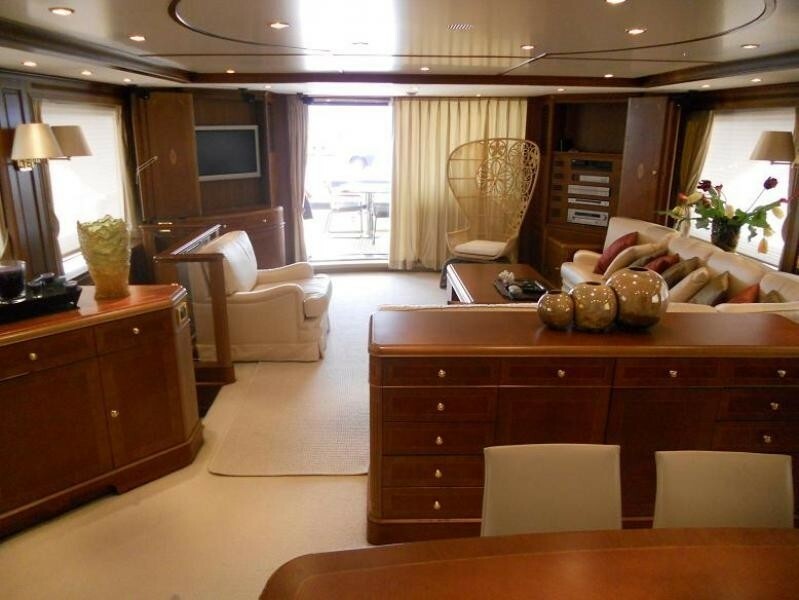 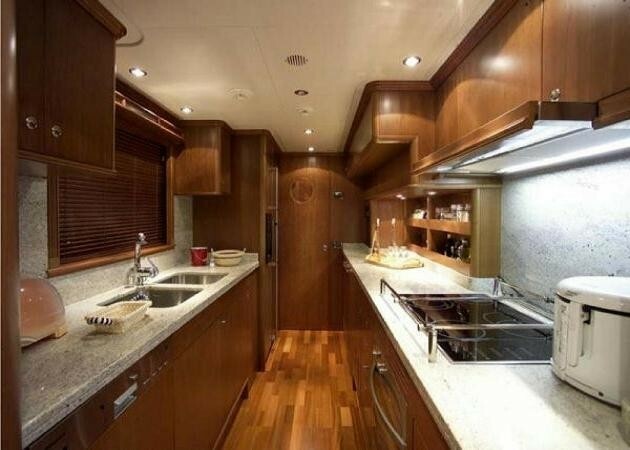 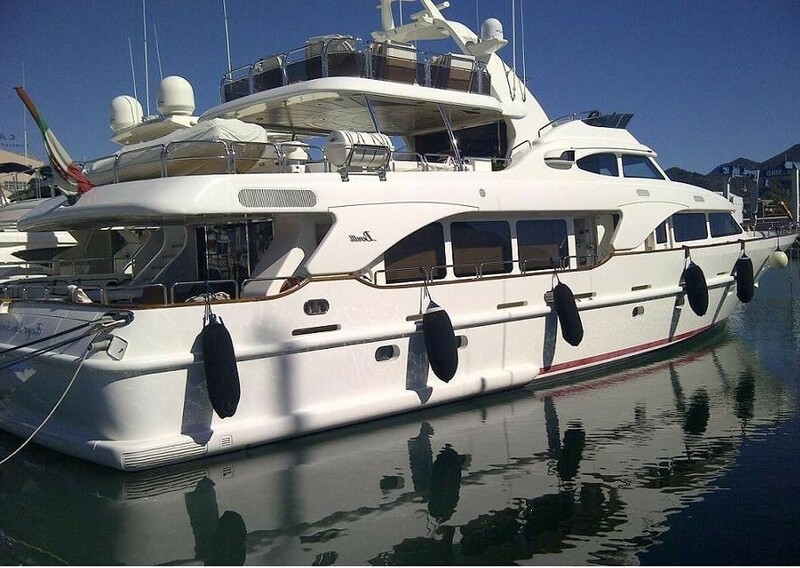 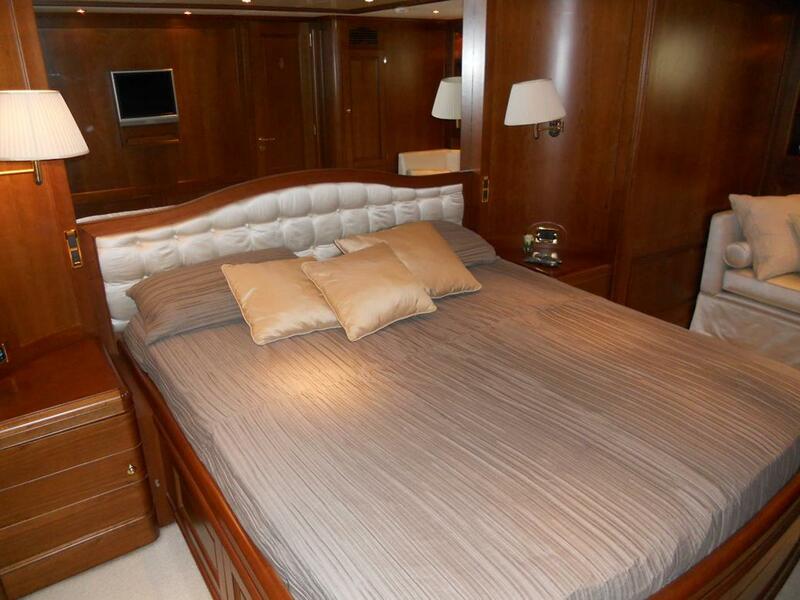 Luxury Benetti motor yacht ENIGMA can accommodate up to 8 guests in 4 staterooms. Her elegant and bright master stateroom is located forward on main deck with king size bed, wardrobes, chest of drawers, coiffeuse, electric venetian blinds, disappearing LCD TV, stereo system and en suite toilet with tub and shower box. 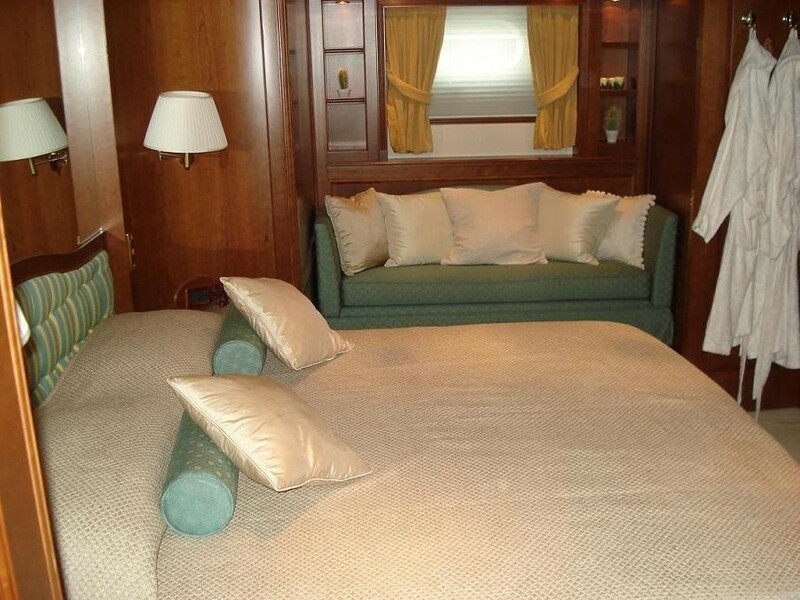 The VIP stateroom is located on lower deck and features a queen size bed, LCD TV, stereo system, dressing room, coiffeuse and en suite toilet with shower box and bidet. 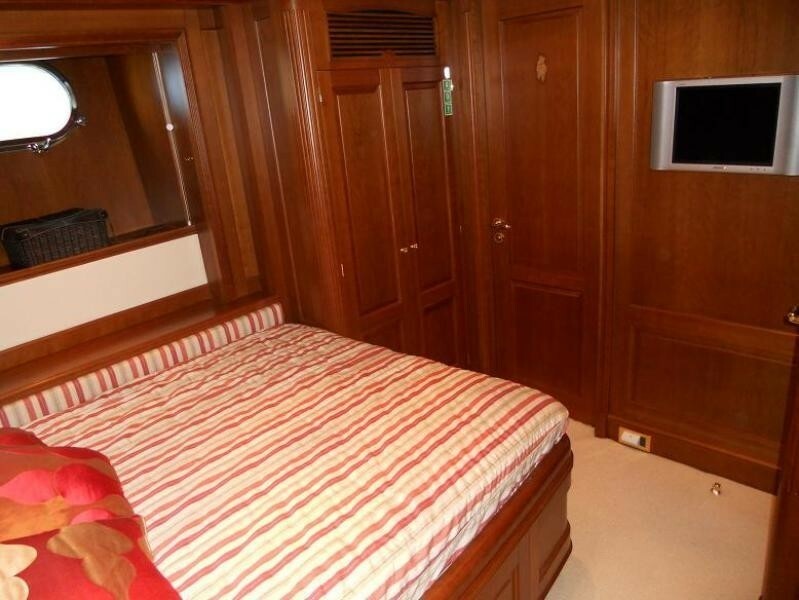 There is also a guest suite that features a French bed, LCD TV, stereo system and en suite toilet with shower box and a twin cabin featuring twin beds and en suite toilet. 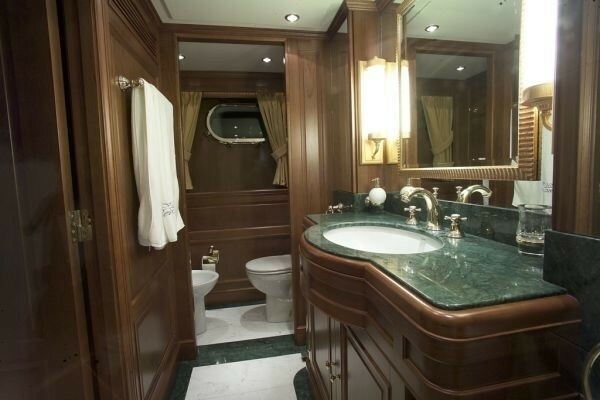 All staterooms are provided with air-conditioning and toilets are marble and wood finished. 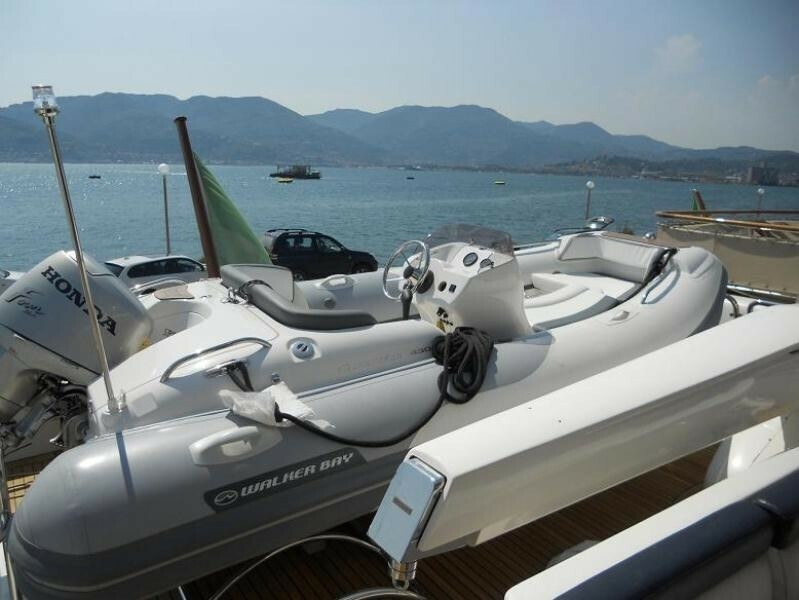 Charter yacht ENIGMA has the following extras onboard: Her Tenders and Toys include a New 2010 dinghy, 3 seats Jet ski and toys. 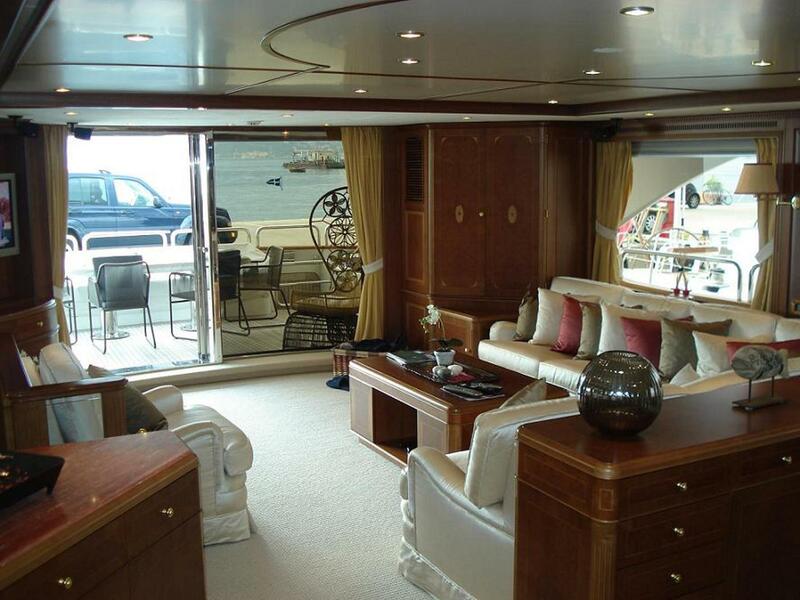 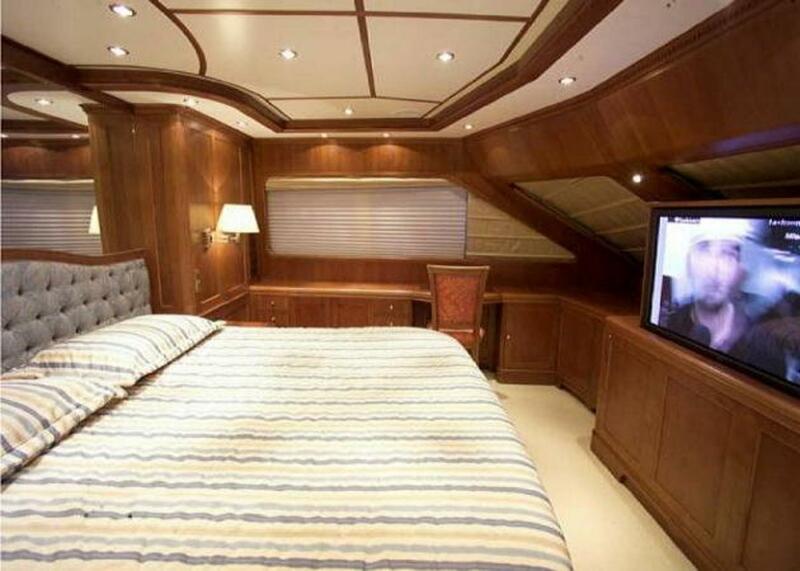 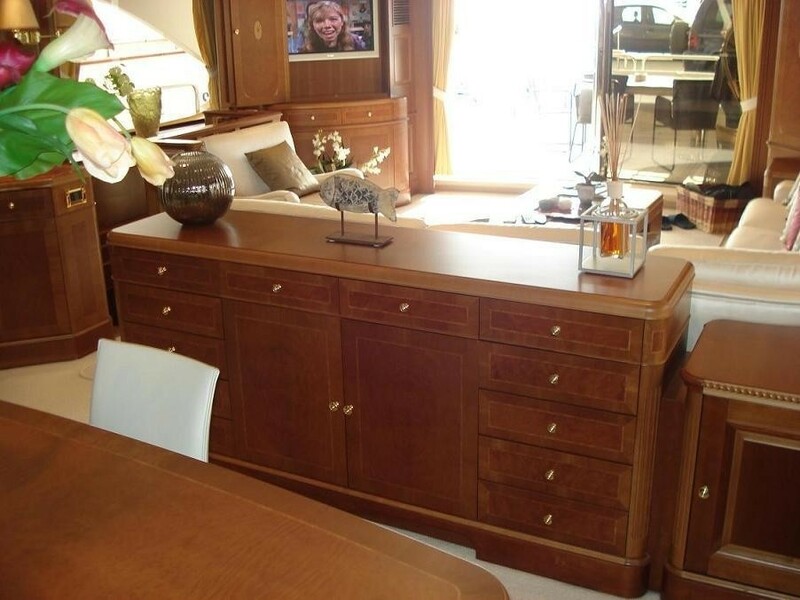 Audio Visual Equipment and Deck Facilities include an LCD TV, Hi-Fi system, DVD and Sky Sat in saloon and in all cabins. 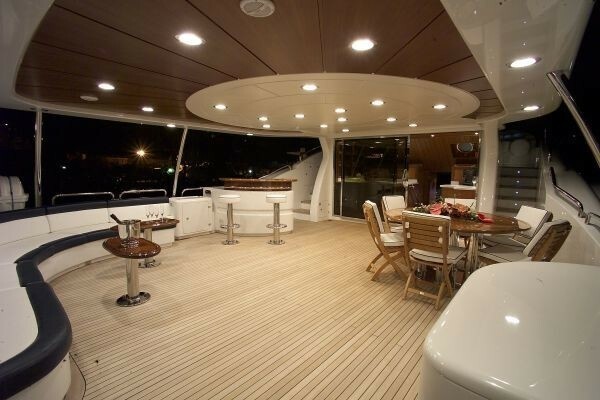 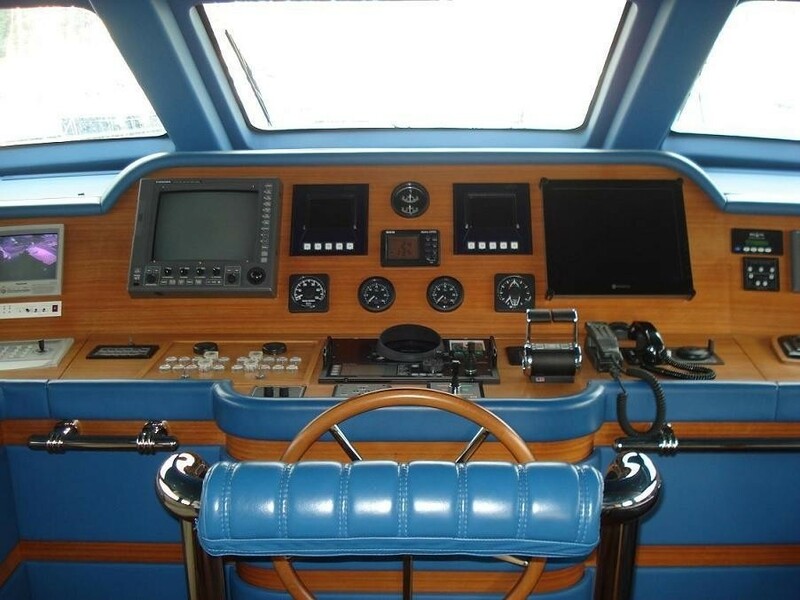 The spacious cockpit offers comfortable seats and dining table for 10 guests. 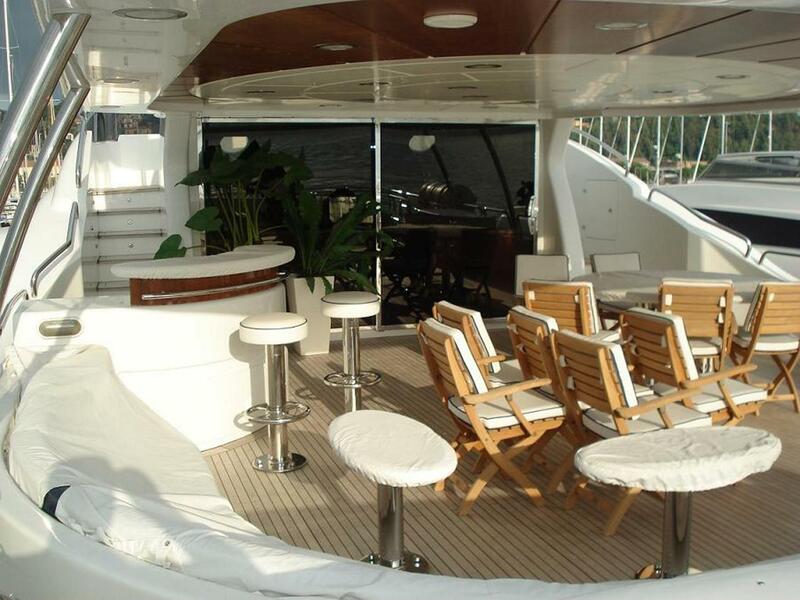 Upper deck is the best convivial area: very wide, it features corner bar, comfortable C shaped sofa with coffee table, elegant round table for 8 guests and barbeque. 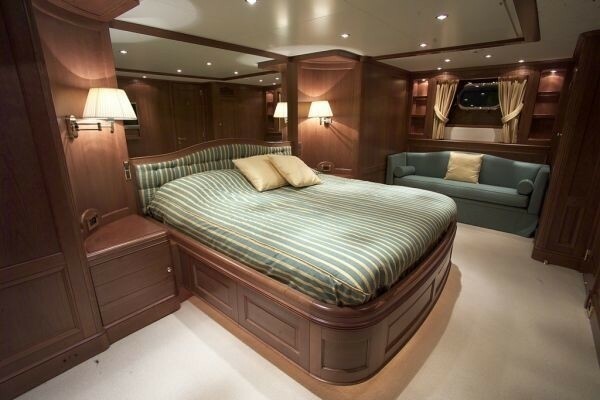 The third deck provides a wide sunbathing area with comfortable mattresses to relax in full privacy. Forward of the yacht there are comfortable settees.